Compliant Auto Dialing Software for recruiting, sales and more! Directly and Fully Integrated with Redtail Technology! The LogicDialer Auto Dialing System powered by Call Logic will increase your outbound calling production by 3X and is the only dialing system listed in the FINRA Vendor Compliance Directory. All you will need is a computer and phone to make the Logicdialer work. No equipment to buy or software to download. Call 831-373-4716 for more information. Save Time — Make 2-3 times more calls using Logic Dialer vs. hand dialing. Use Logic Dialer for prospecting calls for candidates, cross-selling, win-backs, renewals, and more! Comprehensive reporting for each campaign. Summary reports or detailed reports to make decisions. 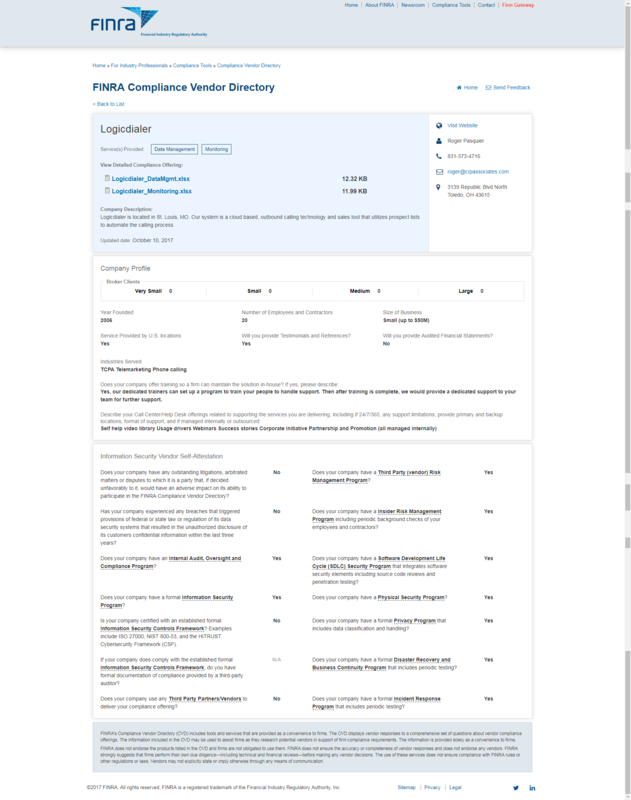 Logic Dialer is the ONLY dialing tool listed in the FINRA Vendor Compliance Directory and is integrated with the Redtail Technology CRM for Financial Advisors. We are also integrated with the Blitz recruiting CRM. Call us to discuss other integrations with your CRM tools. Coming in the future Salesforce. Why use a TCPA Compliant Dialing tool like the Logicdialer? People are switching from their current auto dialing software to benefit from a fully TCPA Compliant, integrated system to start being more efficient in their business — LogicDialer. YES! That’s the magic of LogicDialer. You can connect with any phone at any time. From cell phones to phones in the office (VoIP) to even phones at home. Simply call into the number provided by Call Logic to begin the calling campaign. Does LogicDialer provide any reporting or call recording features? Yes, we offer both a summary as well as a detailed reporting on every call campaign. 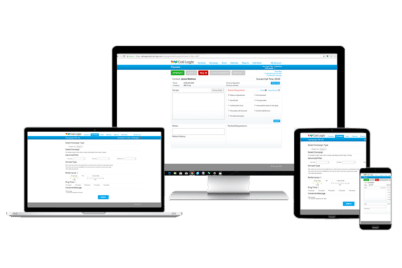 LogicDialer offers the ability to record a single call or a LogicDialer offers the ability to record a single call or an entire call campaign. Yes, not only do we have internal evaluations to ensure compliance, we have been listed in the FINRA Vendor Compliance Directory as well! Does everyone in my office need a LogicDialer account? Example: If you have an office of 5 people, but only 2 are telemarketing… You would only need 2 LogDialer accounts. Does LogicDialer scrub my calls? Absolutely. As an optional feature LogicDialer will “Real Time” scrub every call microseconds before the call is placed. Yes! LogicDialer does offer an option to place a single call through the system or to a list of contacts.